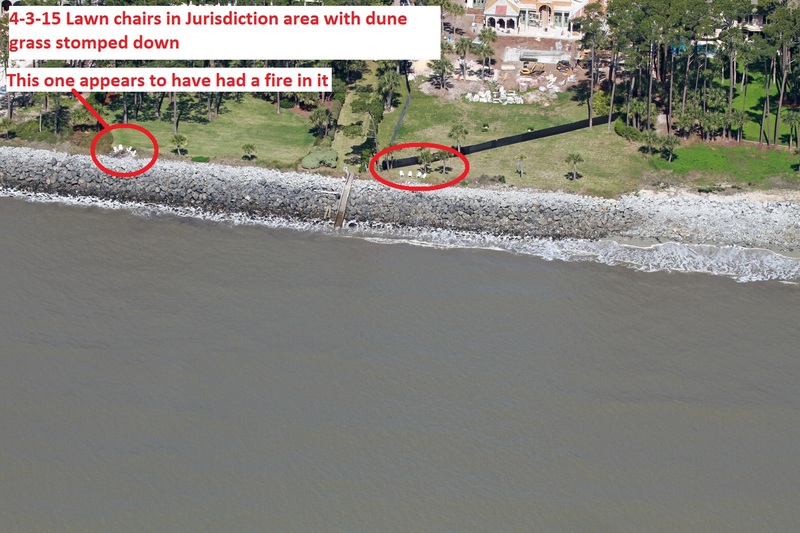 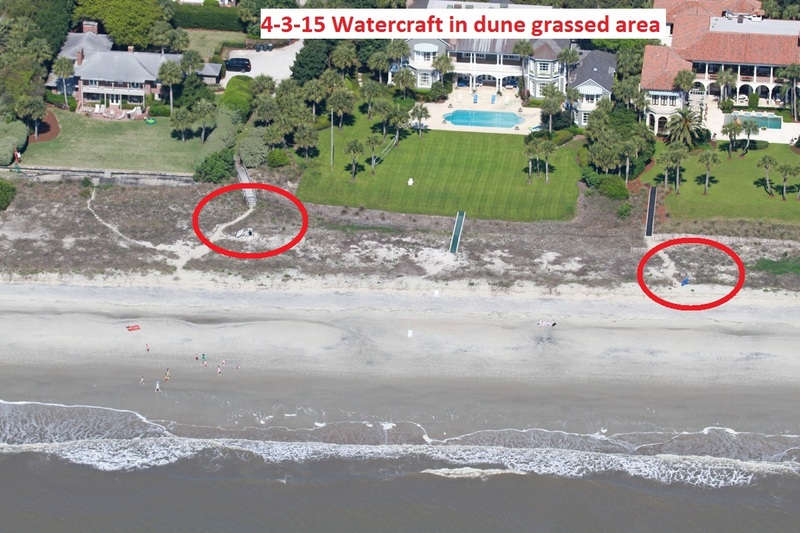 Attached are photos taken on 4-3-15 along the dune on Sea Island from the Beach Club north to the golf course. 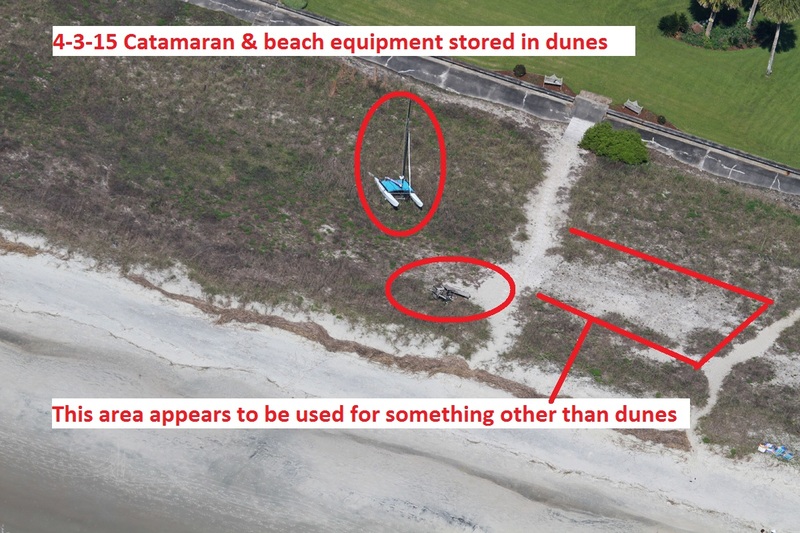 Some of these watercraft in the dune field I have sent you concerns previously, yet they are still in the dunes. 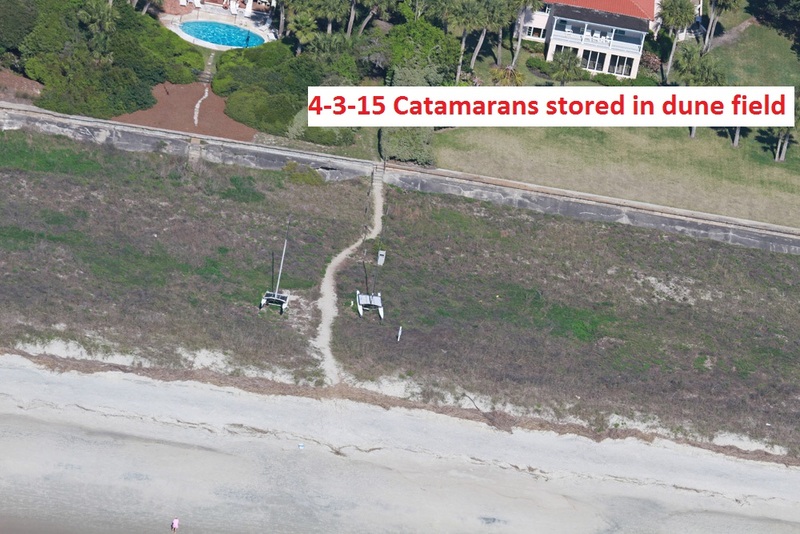 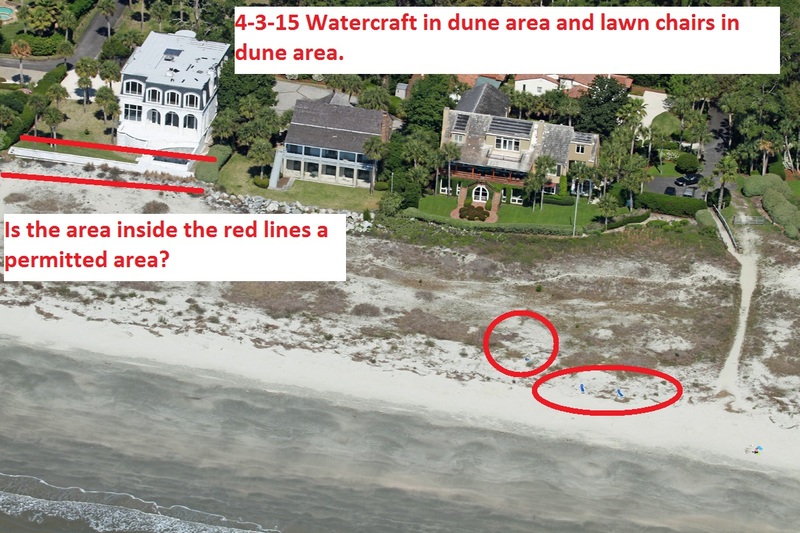 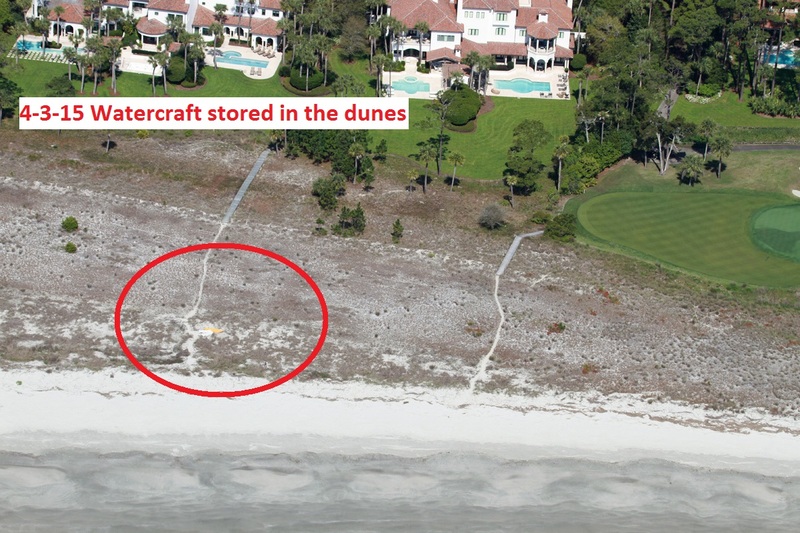 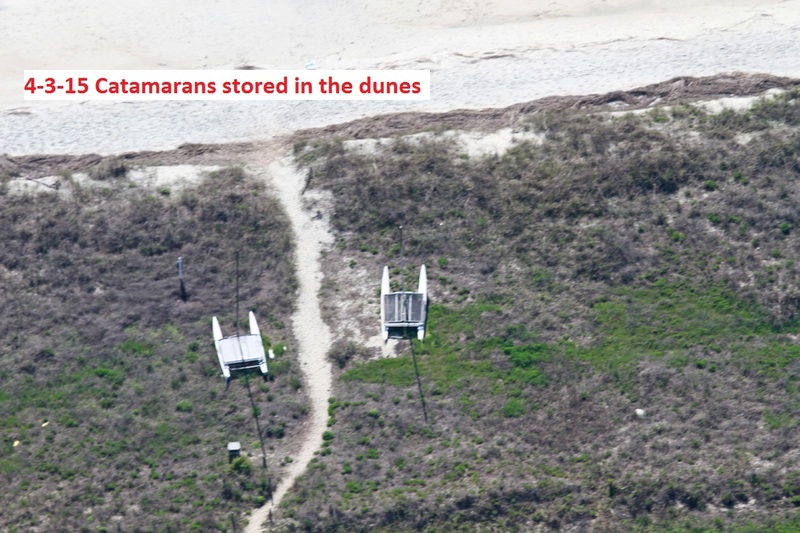 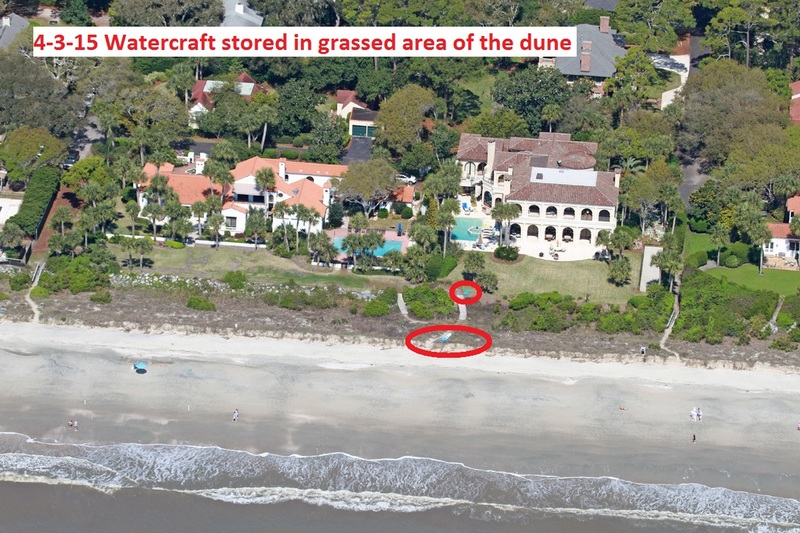 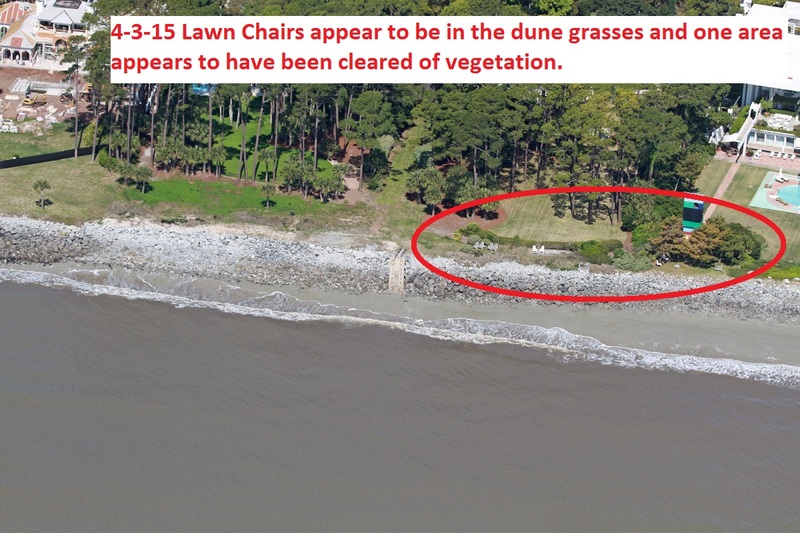 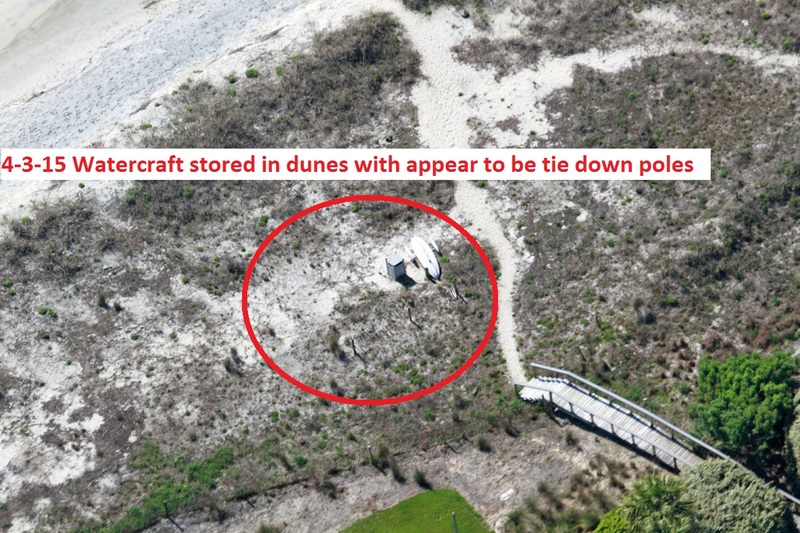 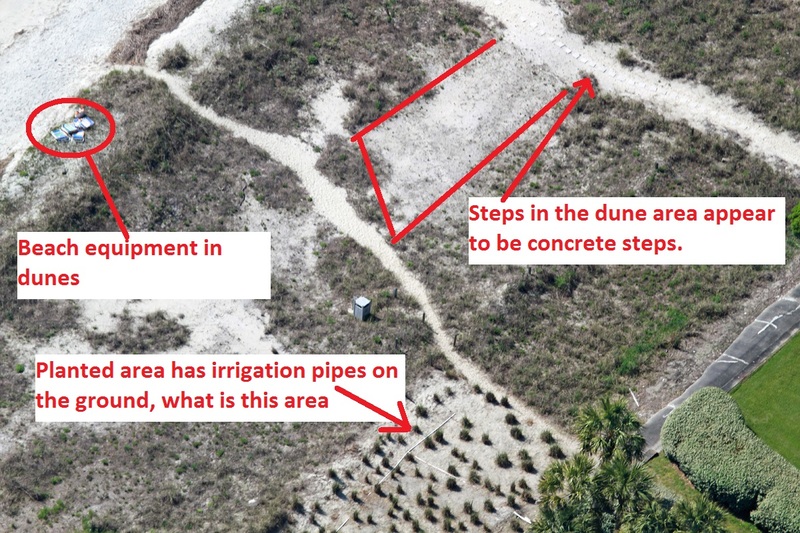 One site that is particularly a concern beyond the watercraft is the area where someone has planted some sort of vegetation in the dunes with what appear to be irrigation pipes running all through it. 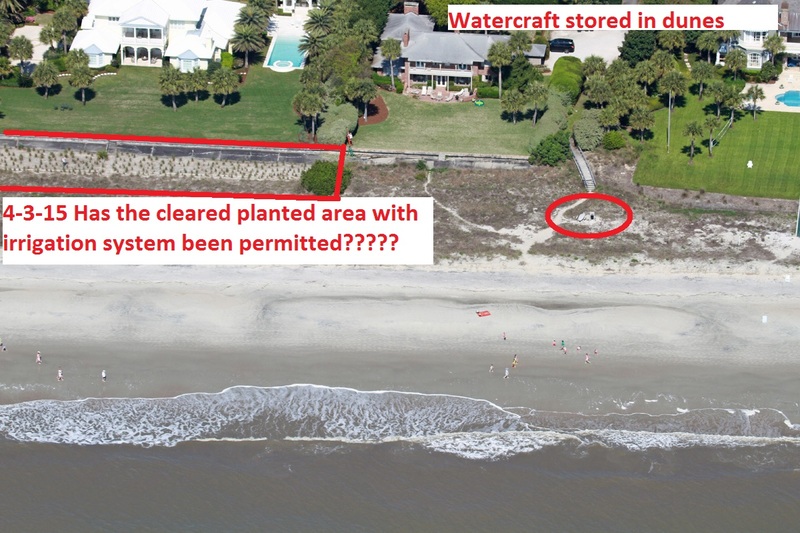 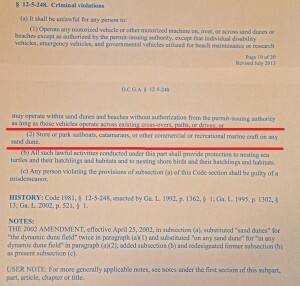 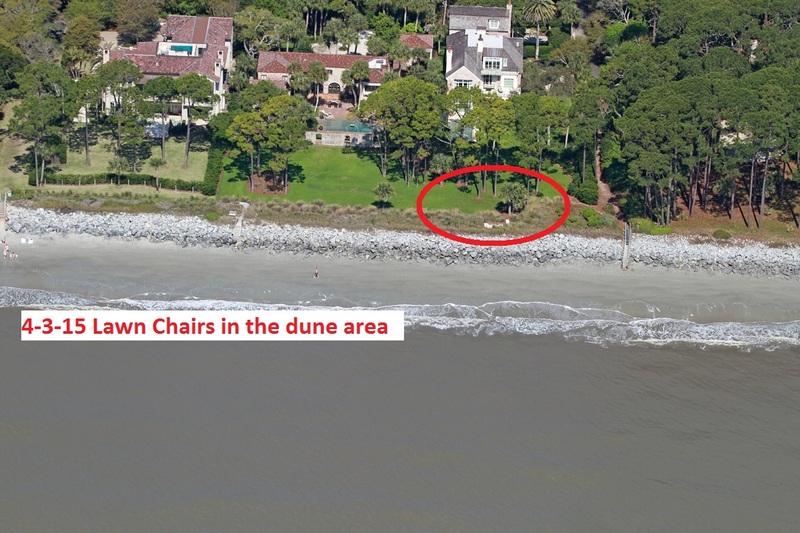 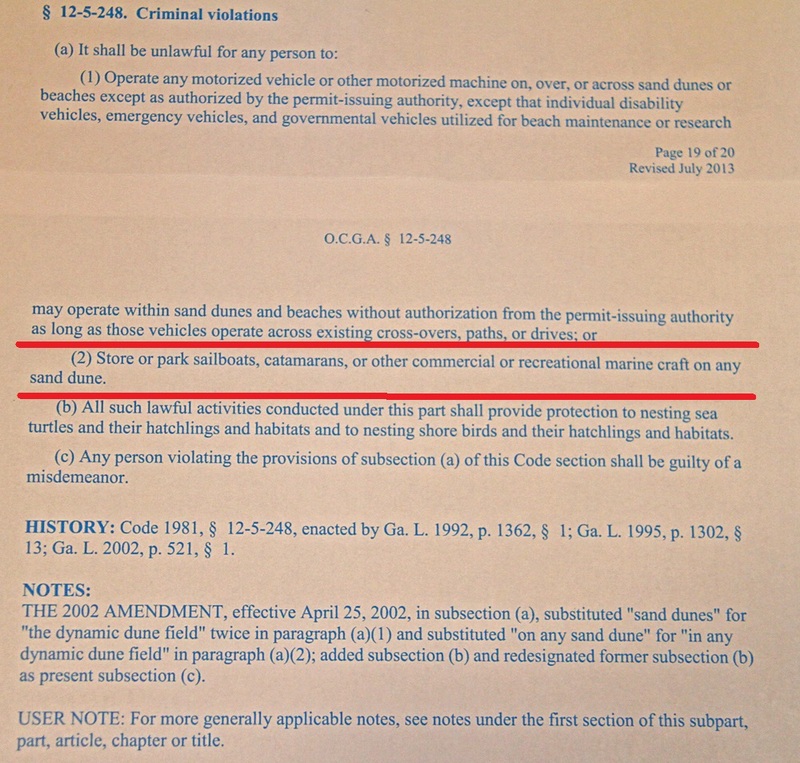 Is this an area permitted by the joint committee for the Marsh Act/Shore Act? 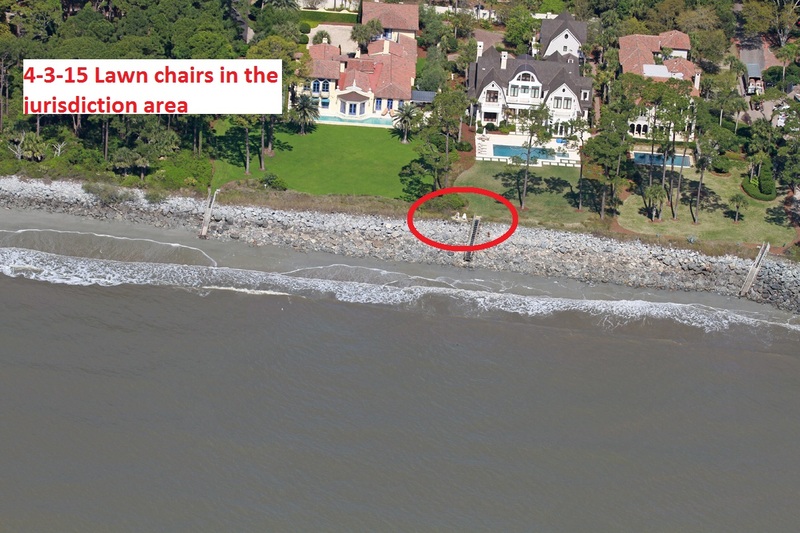 Don’t forget you can embiggen each image by clicking on it.